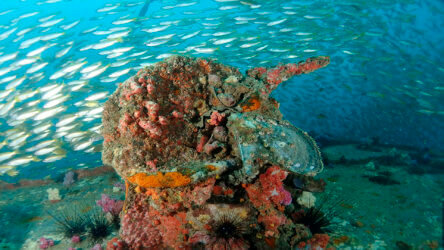 The dive sites around the King Cruiser Wreck are some of the richest and diverse in the whole of Thailand. 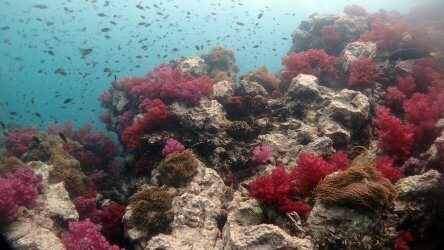 Fed by the waters of Phang Nha Bay, the nutrient rich currents feed stunning soft corals and huge schools of fish. 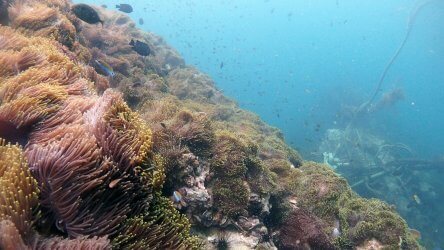 The diving can be a little tricky at these exposed sites but the rewards can be huge. 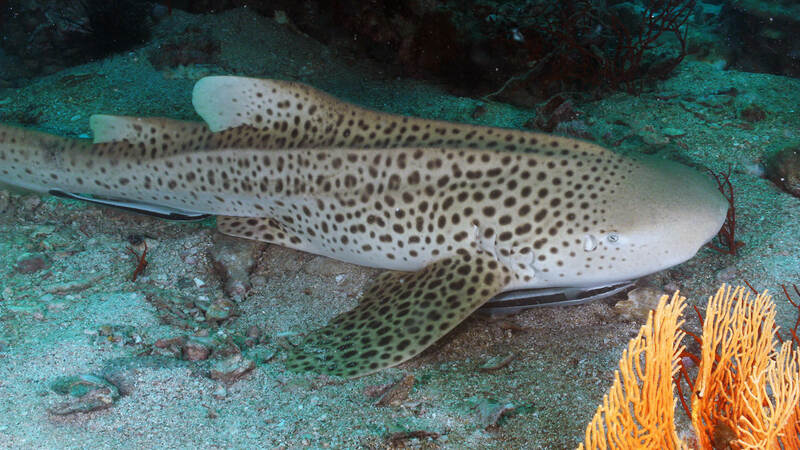 Whale shark sightings in this area have been increasing every year. The rich waters of Phang Nga bay hide lots of small islands and is a place you'll probably visit during your Phuket holiday on a sightseeing tour. 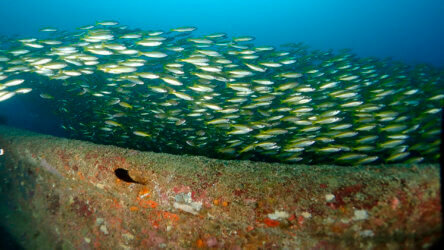 What you won't see on these tours is the amazingly diverse marine life beneath the waves. Lots of nutrients get washed down from the bay making this area particularly wealthy in marine life. 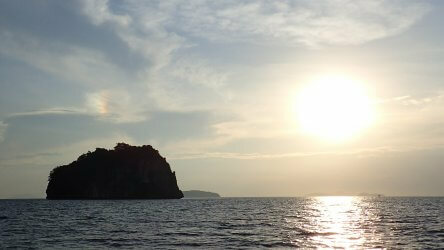 Local Dive Thailand run trips to these hidden gems every Monday, Tuesday and Friday. 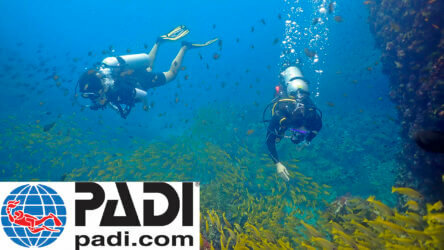 Browse through our dive site descriptions and contact us to arrange a great day out.